Online designing and networking sector stepped a ladder up when OPRIV formed in 2014. We are a world-class web designing and development company. We don’t appreciate limiting ourselves to some specification and that’s what makes us versatile. 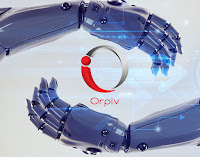 With wide range of services, OPRIV serves the cluster of huge Internet market with following services. For all the practical reasons, it’s very much necessary for a service provider to be aware of latest innovation in the technology. Following new trends and fresh launches enables us to provide finest possible services to our valuable clients like you. If one starts digging in, he will surely front latest and innovative step-ins into fields like website design, graphics, software development, various coding and etc. These things are mainly meant to make things easier for the small and large businesses in order to survive and excel in the local and virtual world. Consequently, we take a charge of all that from a brick to the building and provide you with a high-quality work garnished with your satisfactory approval. Nobody would ever compromise that part. A firm should have a team of experts not a bunch of broken people. OPRIV is proud to announce that we have a highly qualified, trained and a professional team. Our team is expert enough to fulfill all the simple and complex requirements of clients more than expectations. We have 10 creative designers, a group of highly skilled developers and around 20 data entry operators. Practice makes a man perfect but in case of creativity, it’s like practice makes creativity a giant. That’s exactly where experience happens to play a significant role. Our team of designers and developers is professionally trained and considerably experienced to hold a noteworthy image in the market. Yes that’s true, great team ensures great work. Therefore, one cannot question us about the workload because our team is skilled enough to compete with the deadline ensuring the best quality work. There is a lot more to discover about us. Keep reading in order to have further insights of OPRIV. We are proud of our creative team who design captivating websites and graphics that showcase your brand exclusively. We facilitate you with an adorable layout that grabs the viewer’s attention. As said, “Be seen be sold”. Therefore, we make your brand be able to stand in the internet marketplace. Your business needs to have a pleasant virtual appearance and we take a charge to add that wow factor in your website. We would never want you to get stuck into mundane procedures in order to get your website. We take the responsibility to make things easier for you because taking good care of a client ensures long lasting business terms. We maintain consistent coordination with you in order to keep you off all the technical issues you are messed up with. In short, fulfilling your demand is our primary objective. Along with making things easier for you, we make you independent also. You can have a complete hold over your website by adding or deleting any particular piece of content. We will be integrating CMS (Content Management System) to your website so you can easily make updates accordingly. Moreover, you website is going to be completely optimized so it can be proven as Search Engine Friendly platform in order to get more traffic. It is more about the image of your brand, which is always based upon about the better understanding. Great collaborations of Client and Company always turn into a lucrative product in the end. Good communication is the key and we assure you for that. We are your perfect service provider to work with. 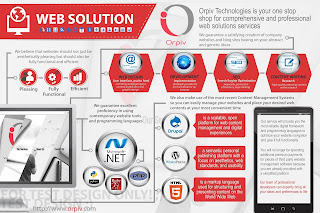 You get all the website and design solutions executed at OPRIV. Our team is skilled enough to facilitate you with the finest quality work. Time is money and OPRIV is highly concerned about it. 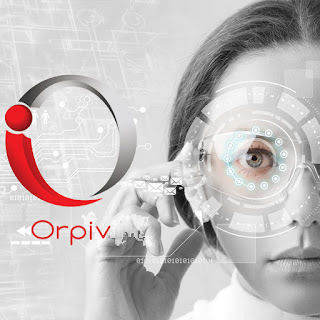 Give yourself a chance to work with a great service provider known as OPRIV.